Illustrations of off grid power systems. Our system is powered by several solar panels, with storage batteries to provide electricity at night. 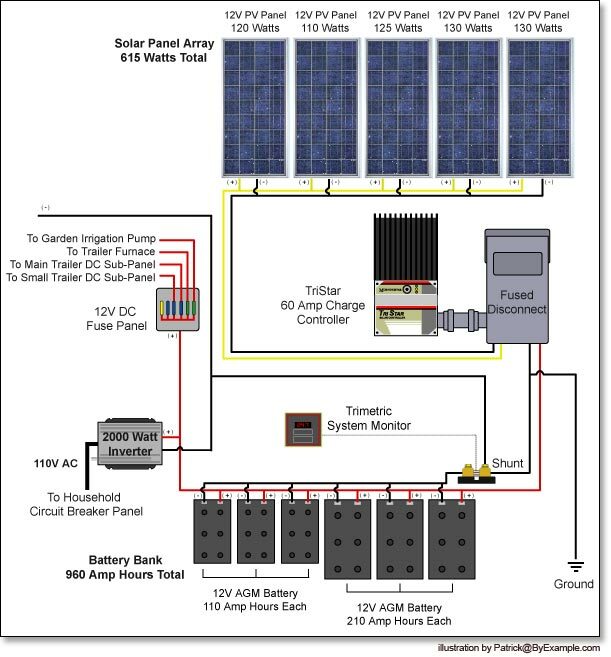 A diagram of our home-built photovoltaic system that powered our two trailers and the Avalon garden irrigation pump for several years. 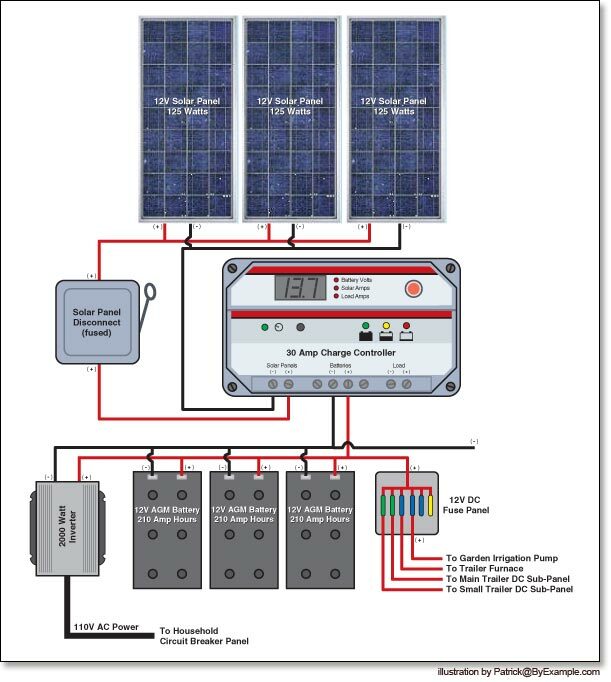 This version of our solar power system includes five solar panels and six AGM batteries, as well as a larger charge controller and a Trimetric system monitor.